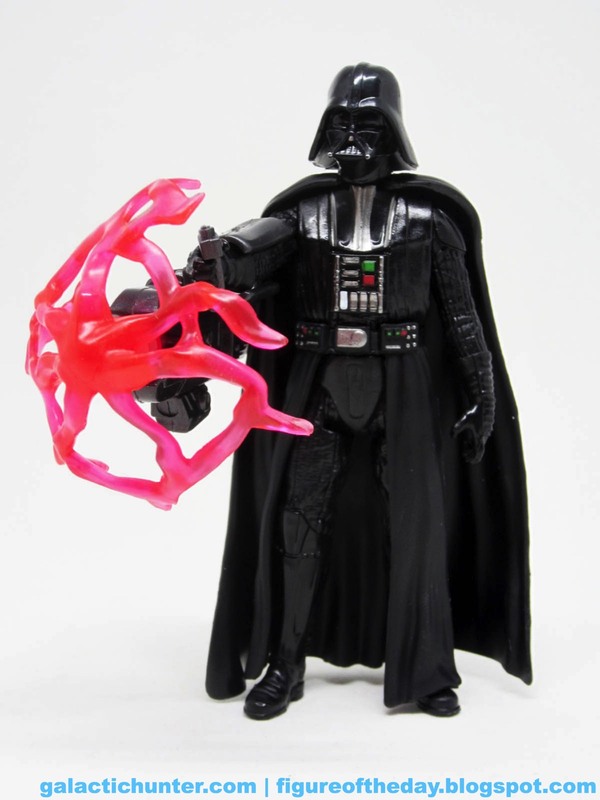 Commentary: Holy crap another Darth Vader. Very few of his action figures are based specifically on the original 1977 movie suit, as Rogue One supposedly aspires to do, but if you compare some of the publicity shots to this Hasbro figure and the Funko items and other products you'll notice they don't all match. This Hasbro figure lacks the red lenses, but it does have the robes over the shoulder armor. 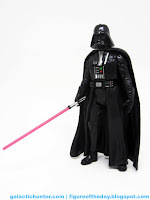 Funko's (and one of the publicity standees) has the robes under the shoulders - which is how they did it in every movie save for the original - and generally they have the red lenses. 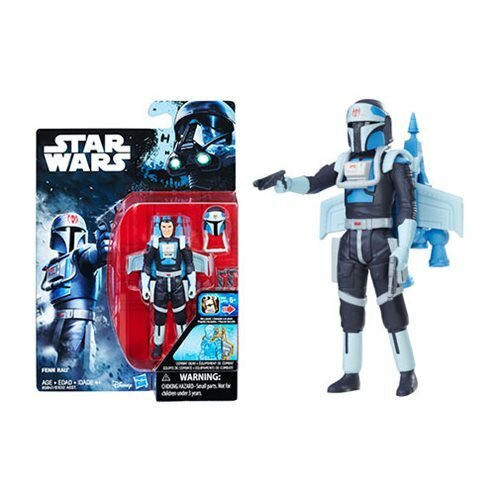 Based on rumors floating around, it was Disneylucasfilm's goal to make it as perfectly Star Wars as possible and this figure does a pretty good job of pulling that off. It's not as awesome as the super-articulated 2006-2007 figure - the one that came with Obi-Wan's robes and a coin and was super-articulated and was $7 - but it's still good. Unlike the bulk of The Force Awakens and Rogue One toys, Darth Vader has a sixth joint. His waist is articulated, making this one a lot closer to the 1995 figure you've all decided to hate. His lightsaber even lacks the "flare" at the base of the blade. The inner "skirt" cape has a couple of cuts so you can fit this figure in some vehicles, although it's a tight squeeze - they don't fold down perfectly. 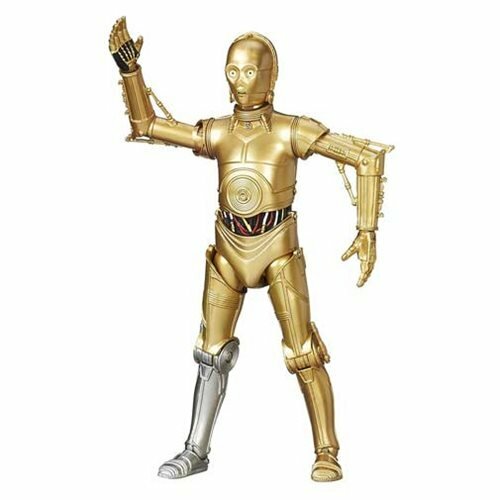 The arms are spread out, a little more action-oriented than I was expecting, but he can hold his lightsaber in menacing ways that imply the figure could fight in a duel. I don't expect to see it ignited on film, but who knows? 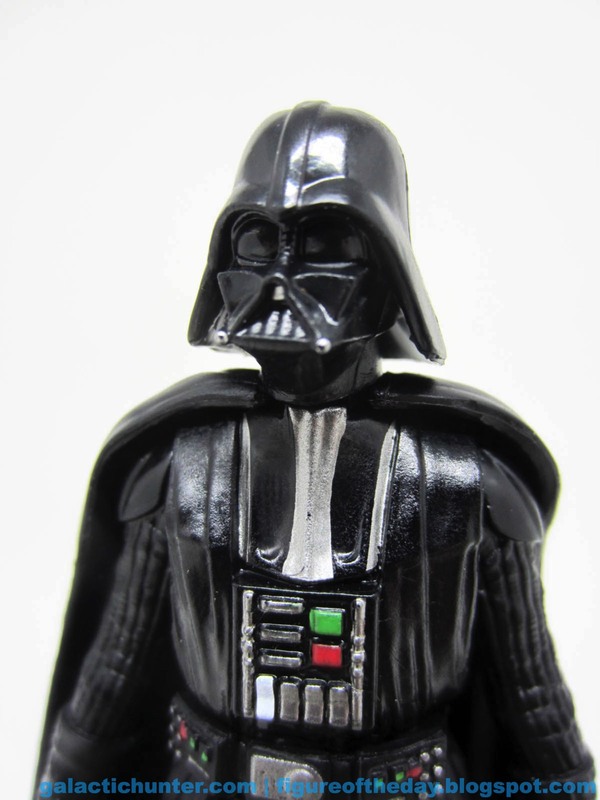 The deco largely matches other Vader figures based on the original film, complete with horizontal ribbing on the gloves and the big green chest light. 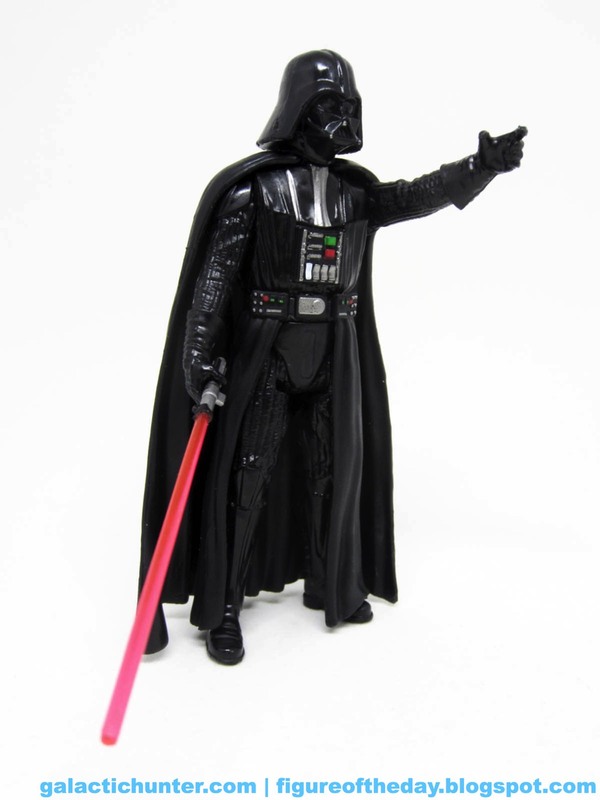 It's pretty good, but you've probably got a few Darth Vaders. Or a few dozen. He's missing the neck chain for his cape, which is plastic and removable. He's also seemingly just a smidgen beefier than my imagination thinks he should be, but that might just be the camera angles in the movie. Rounding out the set is a rocket launcher with an energy blast on the tip. It's shaped like Darth Vader's belt buckle. It is ridiculous. He has no problems holding it, and it feels like it fell out of the 1990s and was probably rejected back in the day. I dig it - it's a lot more fun than the various build weapons that had nothing to do with anything last year. 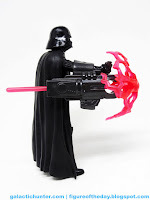 Impressively, Vader can stand while holding the heavy weapon - nice job, Hasbro! That's a rarity with spring-loaded accessories. 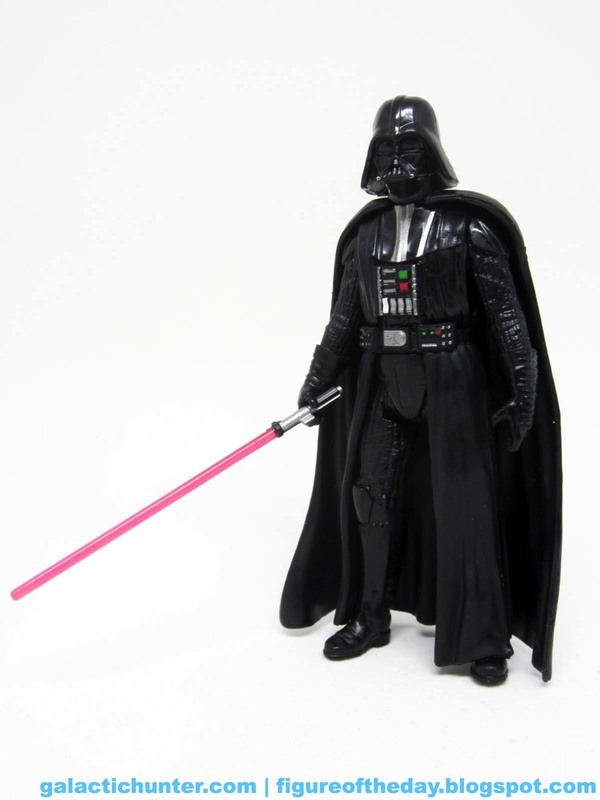 You don't need another Darth Vader, but it's a new movie and really who doesn't want a new Darth Vader? Your existing figures are probably just fine, but if you need a souvenir for the new movie this is a good one. He has a nice gesturing left arm that can't hold his lightsaber, but it's a decent enough toy overall. I like it more than the one they gave us last year. If you see one, go ahead and get one. 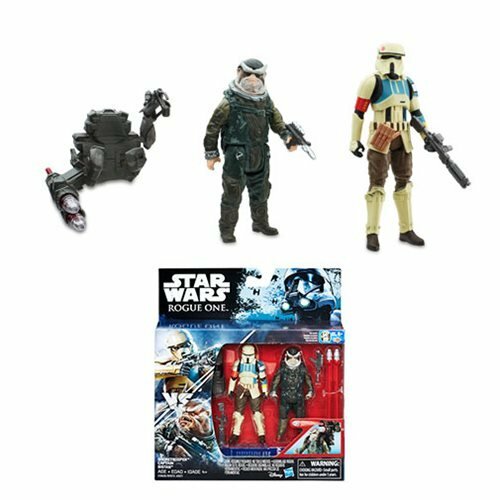 I love the sculpt but the figure is way out of scale with the other rogue 1 figs. too short.